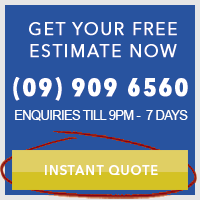 See the top 10 most frequently asked questions about our property maintenance services. See the top 8 most frequently asked questions about our carpet cleaning services. We guarantee you'll be completely satisfied with every clean of your home. If not, just let us know and we'll put it right within 24 hours guaranteed, at no extra cost to you. Click here to find out more about our 'Diamond Standard Service Guarantee'. We bring our own equipment and green cleaning supplies to clean your home. Our equipment is regularly updated and kept in excellent condition. Also, check out our 97 point crystal clean system to see the steps we take to ensure no two cloths or brushes are used for two widely different surfaces (for example, the toilet and bathroom basins). WAIT! If you use your own cleaning supplies and equipment, does that mean you re-use the same rags and cloths on my home that you've used to clean another client's home? NO, that would be disgusting and unhygienic. After we've finished cleaning for the day we go away and prepare our cleaning kits for the next day. This includes a set of fresh, washed and colour coded rags for each individual client the next day. For instance, if we had seven clients on Monday, then we'd prepare sever separate cleaning kits the night before. This means we're not lifting dirt and bacteria from one home and transferring it to another client. You can be assured knowing that every member of the Life Maid Easy team cleaning your home is fully covered by the most comprehensive policy in the industry. You have a few options here. All payments are in advance of your service. If you aren’t home during our first visit, then we will ask you for the full estimated amount beforehand. We accept payment credit card only for all One-off cleaning services. Ongoing client have an option to either by credit card or setting up the payments for you automatically, by you completing a direct debit authorisation form. We accept Visa and Mastercard. We operate in teams of two to three for maximum efficiency, as each housekeeper focuses on a particular area of the house. For your peace of mind we do checks at different times during the cleans to ensure our team is focused on the job and your home is cleaned to a high standard. You don't need to worry as we only use green eco-friendly cleaning products and all of our cleaning equipment is bio-degradable as well. Green cleaning products are sourced from natural ingredients and are free from harsh chemicals that cause allergy symptoms. Your home will be left smelling clean and refreshing each time. The HEPA filtration vacuum also improves air quality so your family's health is in safe hands.